What a pure delight these sweet people were! 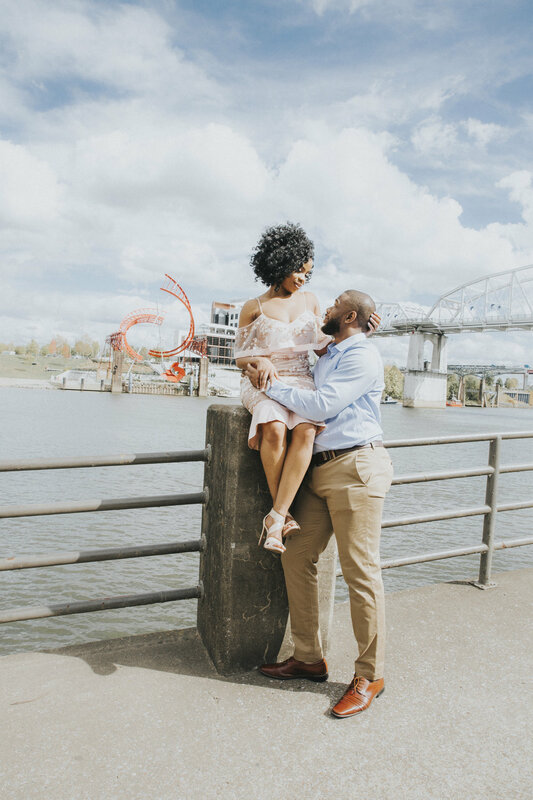 We had so much fun during our session strolling (+ running) down the streets of downtown Nashville. We began our shoot in the middle of the Pedestrian Bridge. All eyes were on them as they appeared to be professional models! It was pure wind at one point but that made for some awesome shots! We then wandered down to the Johnny Cash Museum + a cute little nook down an abandoned looking street. For the grand finale, we finished at the Schermerhorn Symphony Center. It was just MAGIC with them!! Their essence they both shared for life + each other was clear as day. Both Ada + Anthony were a pleasure to be with + I can't WAIT until their big day in August of next year!